With our combined experience of 25 years in the Plumbing Industry , We know how important your time is. Our Plumbing specialist will never leave you waiting. We will set it done on time with unmatched customer service. Our experts understand how important your plumbing system is within your daily operations , We are here to set you back on track quickly and efficiently. Hire us for your plumbing needs and you will not be disappointed. Slow drains always seem to flood up the toilet. You then identify there are clogs that prevent water flow through the drains. Our experts can help you solve this problem, by the use of waste removal technique that filters waste from clogging the drains. Clear Drains for smooth wastewater flow. Fixtures tend to break due to overload. Broken fixtures can be fixed quickly by our plumbers. Plumbing fixture problems inside your bathroom and kitchen have to be dealt with immediately to avoid bigger damages from occurring in the future. Plumbing work outside your premises can be challenging. Most connections are channelled over long pipes and leakages cause water wastage and drain problems. It requires extensive and careful check to fix the damages and leaks. 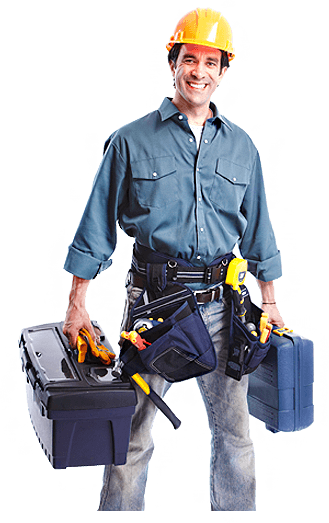 Our plumbing experts have a great deal of expertise in this area. With our equipment and expertise we can rectify the damage easily and quickly. Plumbing leaks and damages happen more frequently in the kitchen area. These pipelines below the sink are complex in nature. These leaks happen because of incorrect plumbing in the first place or a leakage by accident. Keeping your kitchen plumbing well maintained is important. From the kitchen faucet to the drain and garbage disposal, there are several areas of the kitchen that should be kept in good working order. Let our expert plumbers handle all kinds of kitchen problems for you. Fixing bathroom plumbing issues can seem daunting; sometimes there will be problems with your shower, sink or your bath-tub that you might not know the reason. Water flow rate from the pipes can frustrate you, it can be solved. Dripping water problems from your bathroom faucets should be attended to save water and prevent water flooding in your bathroom. All these problems can be fixed easily by our plumbers. Plumbing leaks happen in all kinds. Some can flood your home, while others are not nearly so damaging. Fixing plumbing leaks seems easier said than done. It requires thorough assessment of all possibilities of leaks. Allow our experts to help you fix the damage before it gets worse. Complete prevention from unwanted leaks. Toilets have moving parts, and moving parts wear out or break. These crucial components require an expert to repair the damage. When various parts of the toilets right from the seat and the flush to the leaks in the pipelines breaks down it creates an unpleasant experience. If your toilet is leaking, running, filling slowly, noisy or if it won’t flush, you need an expert from us to get in repaired instantly. Allow our experts to help you fix the damage. Specialist , Steam shower systems and tank-less water heaters.